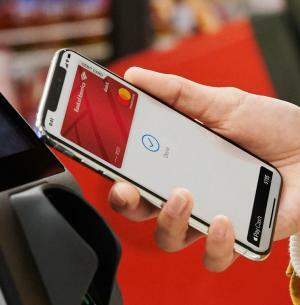 Another Major Holdout Among Major U.S. Merchants, Target, Agrees to Accept Contactless and NFC Payments | NFC Times – Near Field Communication and all contactless technology. Target had been one of the most significant contactless holdouts among the major U.S. merchants. Like rival Walmart Stores–which still doesn’t accept contactless–Target had been balking at contactless in part to promote its own private-label card through its 2-D bar code-based mobile payments app, which it launched in late 2017. Target had been a charter member of merchant group MCX, which more than five years ago had planned to launch its own alternative mobile platform to cut merchant fees and control their customer data and the user experience. The group, which later folded without ever launching the platform, had included Walmart, consumer electronics chain Best Buy, large retail pharmacy CVS and top convenience store chain 7-Eleven. Now all of these merchants except Walmart are accepting contactless or soon will. Article has about 1000 words.